Found! 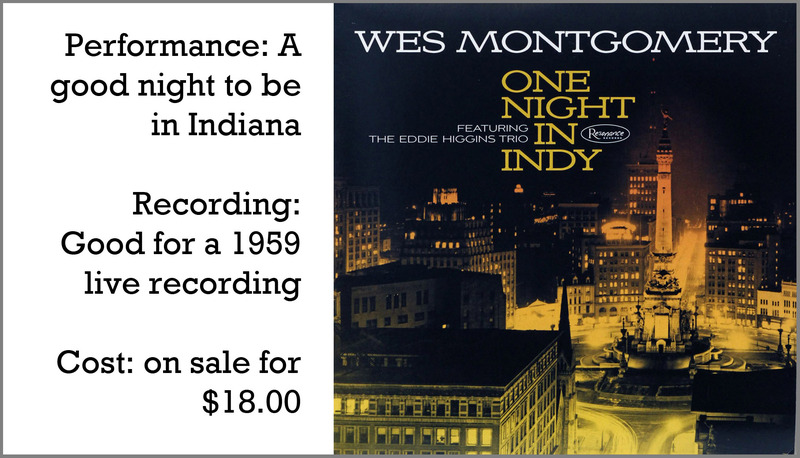 Wes Montgomery’s One Night In Indy | Brad's All Vinyl Finds! I had one reservation about buying this LP new (on sale direct from Resonance)…I didn’t know what it sounded like. Was the original recording done with one crummy mic, too far away from the band? Would the crowd at the Indianapolis Jazz Club make too much noise, clinking glasses and carrying on? Was Montgomery buried in the mix? The answer to all these is no, thankfully. I was pleasantly surprised by the sound. 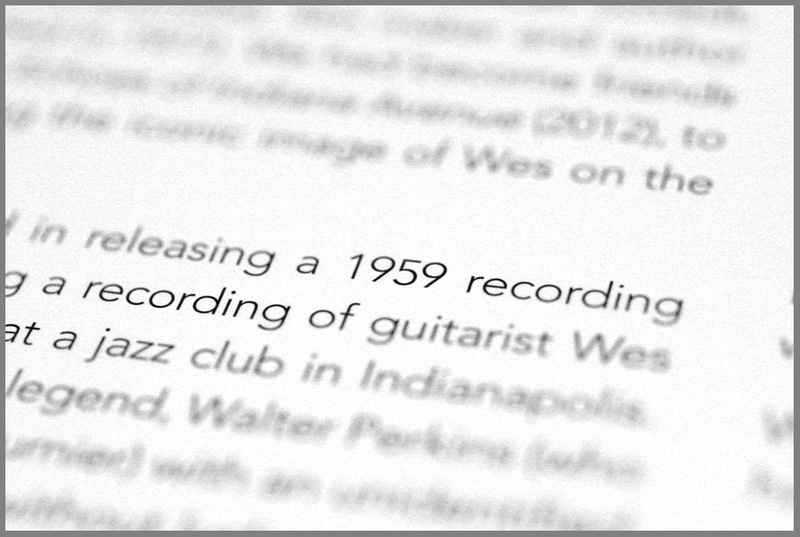 No, it isn’t like it was recorded at Rudy Van Gelder’s studio with the world’s best mics, but for a club setting, it’s fairly good. The band is balanced, meaning all the instruments are clear enough and both Wes’ guitar and Eddie Higgin’s piano are up front when they solo. Even the bass (whom they could not identify) is pretty full, a real achievement, given the time period. There are live sets I’ve heard made in Europe in the early 60s, where Wes is buried in the mix and are barely worth listening to. I can’t say it’s the smoothest sounding live recording. It’s somewhat rough, mostly in the midrange. After a few listens, it reminds me of a live recording that had some noise reduction applied. Too much NR has a sound of its own ( it can be a little empty sounding). I don’t know that NR was applied, however. Sometimes Wes’ guitar sounds a bit distorted when he hits a chord hard, but I credit that to tape saturation, not the guitar. 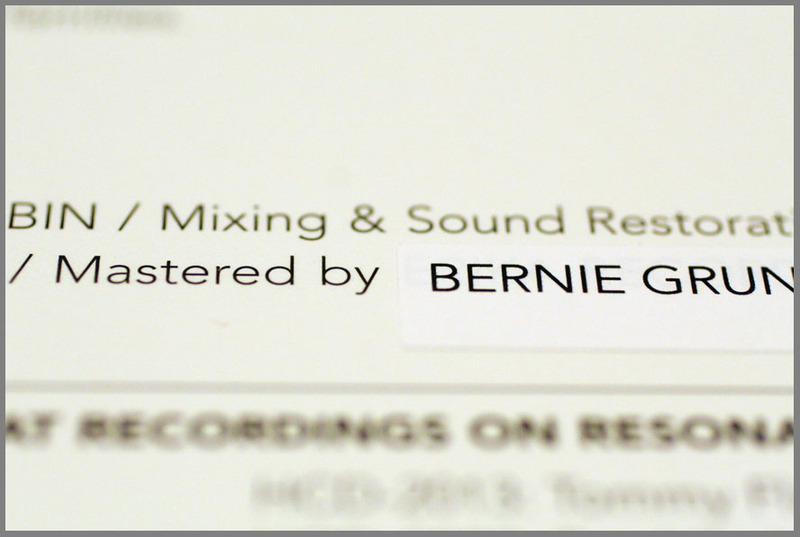 Kudos to Schiedt and the folks at Resonance for a fine transfer and mastering (by Bernie Grundman) of the six tunes. Just don’t expect spectacular audio in the traditional sense. Do expect some good tunes by a great guitarist…who seems to having a darn good time. Either he or one of the other band members laughs in the background a number of times. I was not prepared to hear Wes play a tune by Monk, Ruby My Dear. Higgins doesn’t try to emulate Monk’s obtuse playing style. Wes comes in quite late in the song. His guitar has a reasonably full sound but not nearly as deep as I’ve heard it elsewhere. A little bright and tinny on occasion, probably due more to the mic and recording device, than Wes. He slides through a few chords nicely and keeps his solo (probably much to Monk’s approval), on the melody for most of his solo. Overall, a nice reading of the tune. For the most part, the vinyl was clean. A few clicks and pops in every tune. Ruby My Dear had more pops than the other tunes. I don’t expect any vinyl LP to be completely free of these annoyances, even if they are new. I was dismayed to see that my LP was number 334 of 2500. I would hope there are enough jazz fans out there, willing to buy a new LP by such a revered musician. I understand that the CD version is cheaper and probably appeals to more fans. C’mon, jazz vinyl-philes! Early in my jazz listening career, I thought that there were a limited number of recordings available by Wes, in part because he died so young. It’s a great pleasure to hear more, from new sources. Especially nice to catch Wes playing in his native Indianapolis, probably playing a set that was not out of the ordinary for that time. It’s more of a slice of time, than a revelation. While the audio quality isn’t stellar, I don’t really care, because it’s good enough, and the performance is worthwhile. Check out a very quick medley of tunes, direct from the original vinyl LP! ← Visited! Groove Yard Records in Oakland, California! I think everyone jumped in…it’s sold out! M.